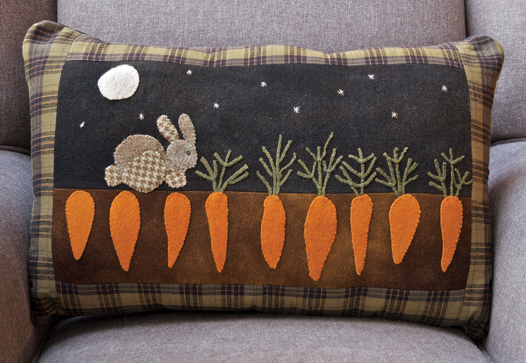 If you notice your carrot tops missing from your garden you know who has visited in the night. 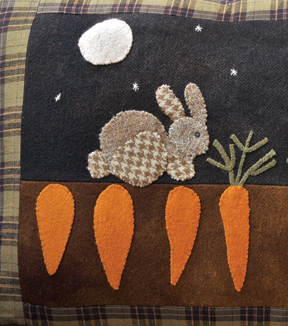 This fun wool applique project is just the thing for some spring decorating changes. When you order a PDF digital download, you will receive a link via email after you complete the paypal checkout. The kit contains all of the wool and border fabric to complete the pillow top.